For use with felt buffs, wheels, cylinders, points, etc. Threads are right-hand. 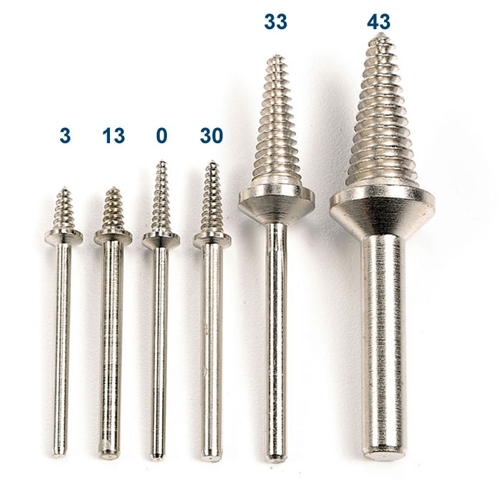 Three-piece minimum for each style of Tapered Thread Mandrels, please order in multiples of 3.